Maryborough Real Estate Photography Specialist - Get noticed and sold quicker with quality real estate photography. With more than 25 years experience photographing real estate in Maryborough, Queensland and throughout Australia, Maryborough Photographer John Wilson Media offers the quality and expertise clients expect when marketing their properties, be it residential property in Maryborough or commercial property sales. We have a range of photography services that can be combined to create an effective visual marketing package for your property. We strive for quick turnaround times and delivery of images and video for clients and photography is supplied web ready for speedy integration onto real estate websites such as realestate.com.au and domain.com.au. We always produce the best quality Maryborough photography because this will play a huge role in selling your property. Don't underestimate the power of your Maryborough property photography and overestimate your agent. In these times where most Maryborough homes are sold online, your photos are the first point of contact and first impression by potential buyers. Your Maryborough real estate photography is a 24/7 OPEN HOUSE to market your property is THE MOST IMPORTANT PART OF YOUR PROPERTY LISTING. Industry statistics show that professional photography engages more potential buyers and gives credibility to pricing. Statistics also show that A PROPERTY LISTING HAS ABOUT 20 SECONDS TO HOOK A POTENTIAL BUYER into looking further into the listing to see more photos. This is where the rubber hits the road when you are selling a property. Your Maryborough photography is extremely important and worth every penny! The interior work we do with our Maryborough photography is skillfully produced combining advanced in-camera techniques and digital editing for the best quality regardless of the age of the property. We don't rush through a house but will take the time to capture rooms in the best light and angles. Many residential and rural properties, in particular, can benefit from aerial photography which will greatly improve the appeal of a property listing to attact more potential buyers. We use drones and our fixed-wing plane for aerial photography in Maryborough, Tiaro, Biggenden, and Childers. Spaek to John about adding this service to your photography package. The aim of any real estate photography is to catch attention and create interest to potential buyers. We can photograph your Maryborough real estate at sunrise or sunset to create stunning images of your property and John can discuss with you which time of day will best suit your needs. We can also offer simulated twilight photography which is another option. We prepare these images from the regular daytime photography we do at the property and are useful when the weather prevents a conventional twilight shoot. Maryborough Photography Twilight Shoot - Below you can see the preparation shot as dusk approaches at left and the final twilight image at dusk at right. We offer commercial real estate photography services in Maryborough and the Wide Bay region with fast turnaround times. Property floor plans are becoming a must-have for online property listings. We can produce interesting colour floor plans of Maryborough homes to add further interest to your property listing. We add furniture and fittings to produce eye-catching floor plans with a 3D look which shows potential buyers how the house is laid out and rooms are connected to one another. 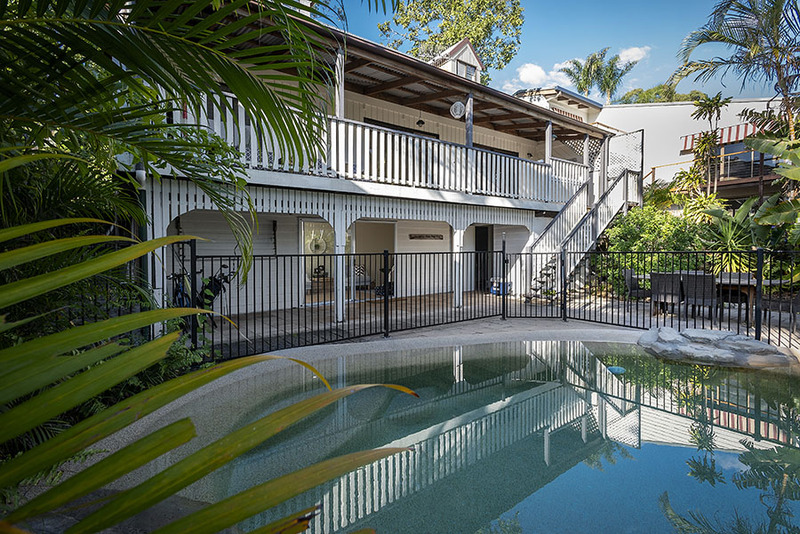 We offer real estate photography in the Wide Bay and Burnett region. Contact us for Childers real estate photography, Biggenden real estate photographer, Gayndah real estate photographer, Murgon real estate photography services, Kingaroy real estate photographer. We also offer real estate photography in Tiaro, Poona, Woolooga, Brooweena, Glenwood and Gunalda real estate photography.